In this day and age of social media, it's easy to trigger keyboard warriors and even easier to get called out for a mistake. This is exactly what happened with L.O.R.D. 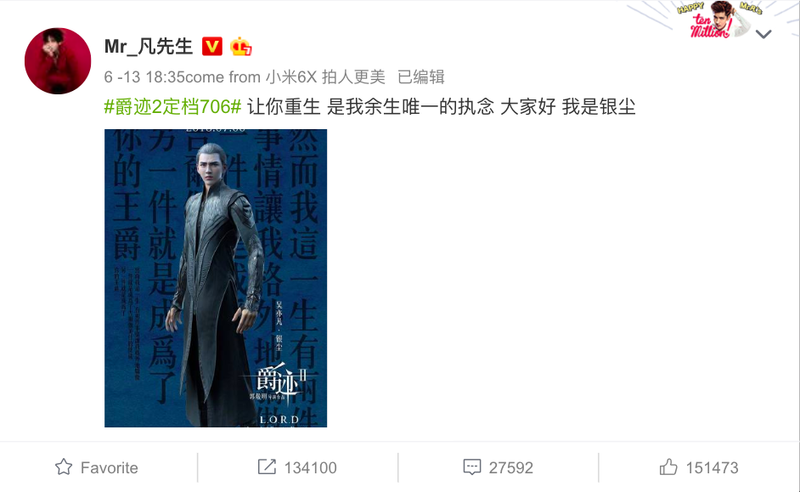 2 爵迹2 when Kris Wu uploaded his own poster on weibo to promote his upcoming movie. 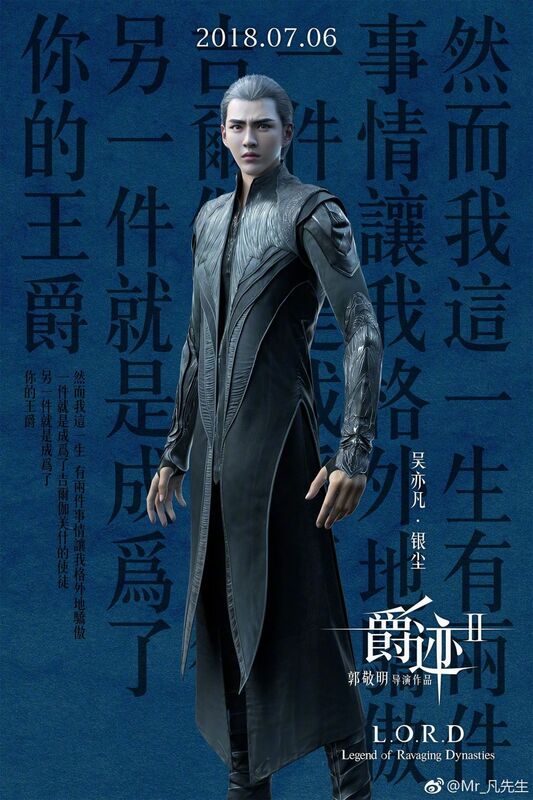 In the caption, he introduces his character Yin Chen using a quote about conviction and an unending legend. It's not so much the content that bothered people but how similar it was to a quote used for Yang Yang's character Ye Xiu of the upcoming drama adaptation of The King's Avatar. Since Kris Wu and even L.O.R.D. 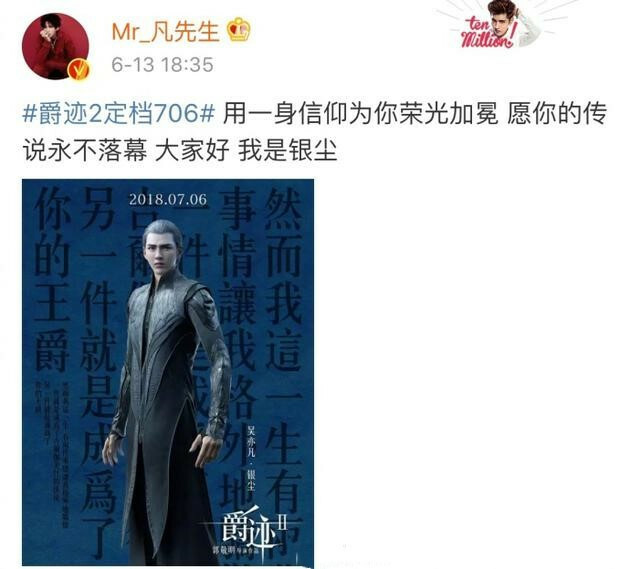 author Guo Jingming were getting flak for it, the production team issued a statement to explain that the wordings used by the cast were standard statements provided to them to promote the movie. CEO Chen Li Zhi of Max Times asked people not to blame the director or actor because his company is the one at fault. He also makes a formal apology to Kris Wu, Guo Jingming, fans of The King's Avatar, and anyone else affected by the mistake. 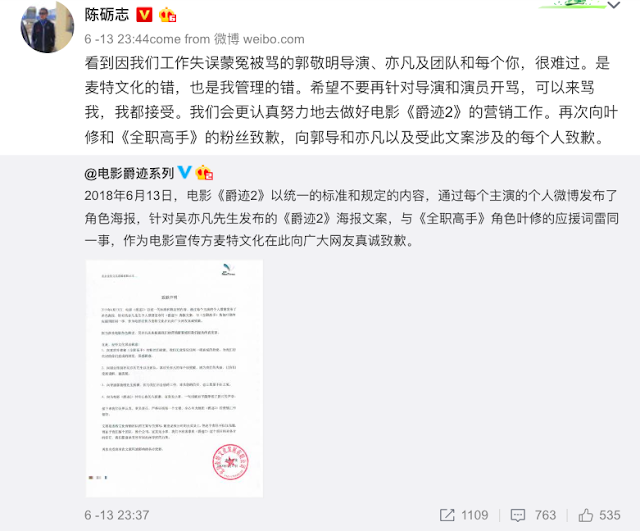 It seems like we're getting an apology of some sort every other day as this is certainly not the first time a celebrity ended up in hot water for posting something written by staff.